We at MS Machinery a leading manufacturer of Garment Printing, Fusing, Heat press, and other textile printing machine. 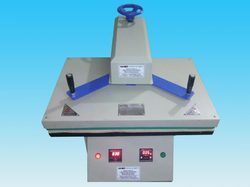 Flat heat press sublimation machine that can able to transfer the ink on Sublimation T-shirts , Mobile Covers , Photo Frames , Stones, Key Chains, etc. Which can print any designs on these materials. Which as the dimension 16x16 cm. We specialize in offering a qualitative range of Textile Printing Machine, which is capable of printing different type of fabrics. 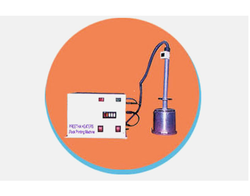 Our range of machines is manufactured using best grade raw materials and advanced technology. These are available in different sizes and specifications, which can be customized as per the requirement of our esteemed clients. Our organization offers a qualitative range of Flock Printing Machine to our clients, which is fabricated using best grade raw materials. 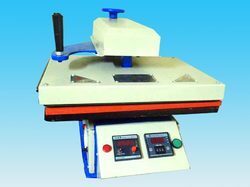 These machines are available in various specifications and meet the individual requirement of our clients. We also ensure that our range is free from any defect and ideal for uses. Our clients can avail our range at competitive prices. 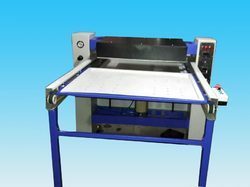 We offer a comprehensive range of Screen Printing Machine available in 6 and 12 colorsThis printing machine can hold short and large frames exactly for printing. 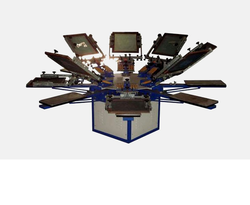 Offered printing machine has frame per screen adjustable feature as per the requirements of clients. Moreover, it can be easily handled because of well equipped functioning. 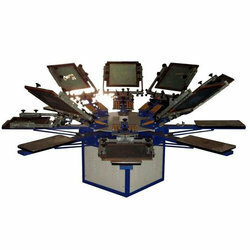 Each printing machine is well tested by experts before its final dispatch. 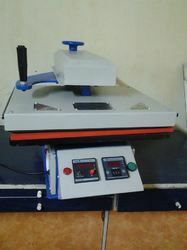 Our printing machine can be availed at effective prices. 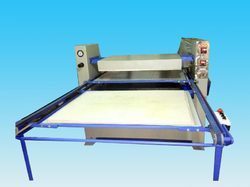 Flat Screen Printing Machines is good for registration jobs. This machine is low cost and high quality Parts in use machine. This machine can print Polybag, Non-Woven Bag, Stationary, Sticker & all type of Flat Print. We are one of the prominent companies of the industry engaged in offering a premium quality collection of Garment Printing Machine. To maintain their superior quality standards, our team of quality examiners examines the entire assortment before finally delivering them to our patrons. Apart from this, this range is highly accredited in the industry owing to their trouble free operations and reliability. We are one of the prominent companies of the industry engaged in offering a premium quality collection of Digital Garment Printing Machine. To maintain their superior quality standards, our team of quality examiners examines the entire assortment before finally delivering them to our patrons. Apart from this, this range is highly accredited in the industry owing to their trouble free operations and reliability. Print various applications and start your own Digital Textile Printing business with our NegiJet textile printers. 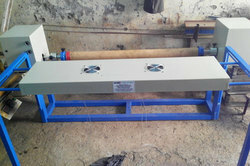 Roller Flasher Dryer use in textile industry.